Formerly dark, heavy, and constricted, this Prairie Village home now has open views from the entry clear through to the patio and the pool. 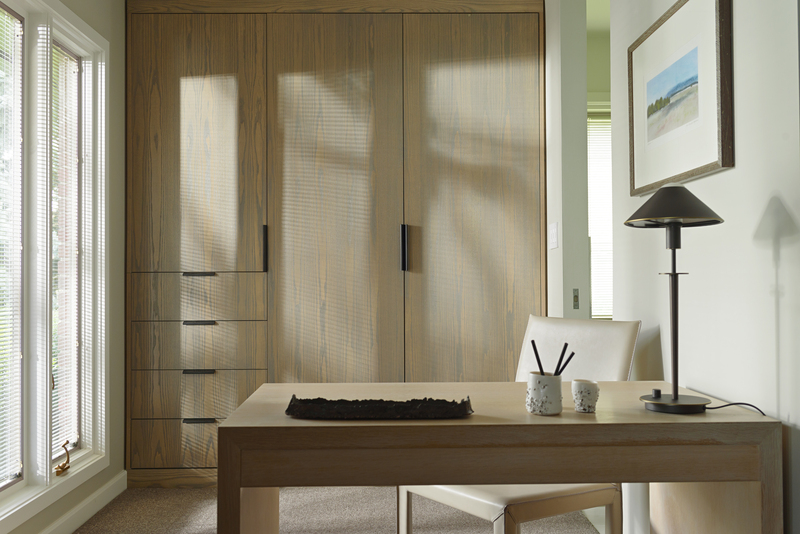 Every element was meticulously designed for proportion, color, detail and texture. 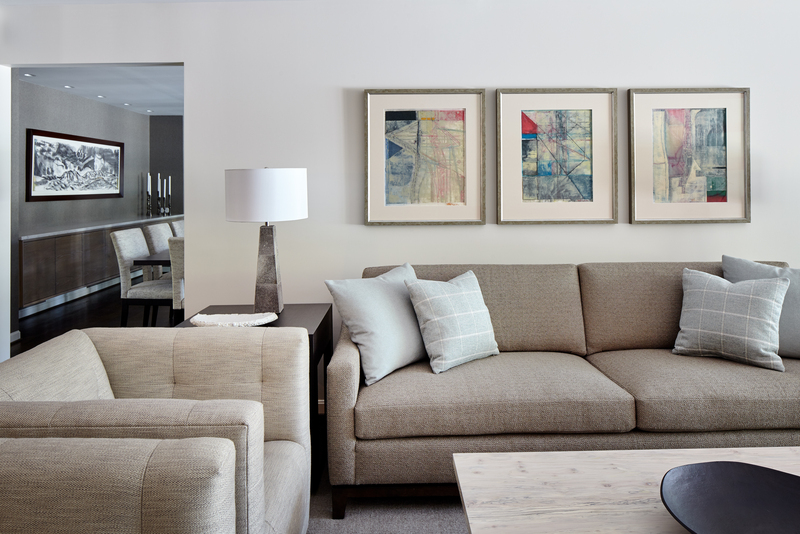 A monochromatic palette fits perfectly with the tonal textures. 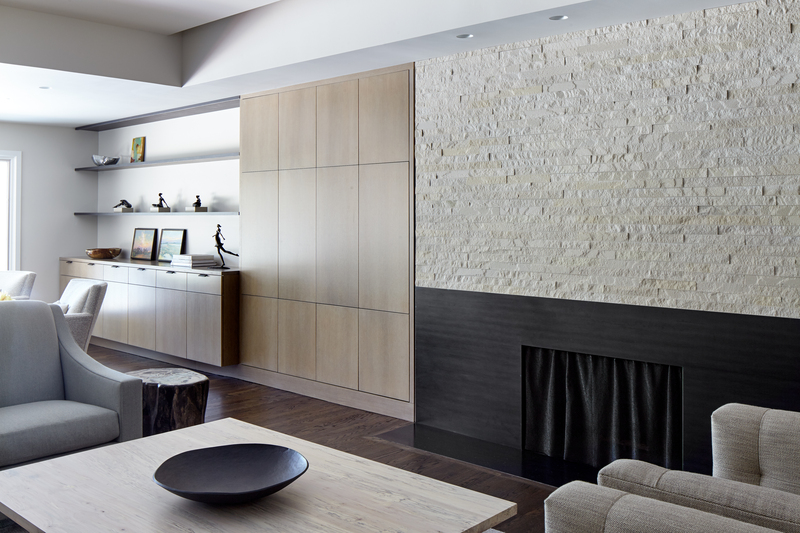 Sleek storage doors, fireplace, and a hidden TV cabinet unifies a long, thin space, designed with the cleanest of forms, combining oak cabinetry, linear stone, and a fireplace. This flawless scene is topped with illuminated floating shelves and a fireplace, both made of black steel. What was once a solid wall is now a custom steel and glass wall with sliding doors that divide the dining room from the sunroom, and creates space, while permitting views to the pool. 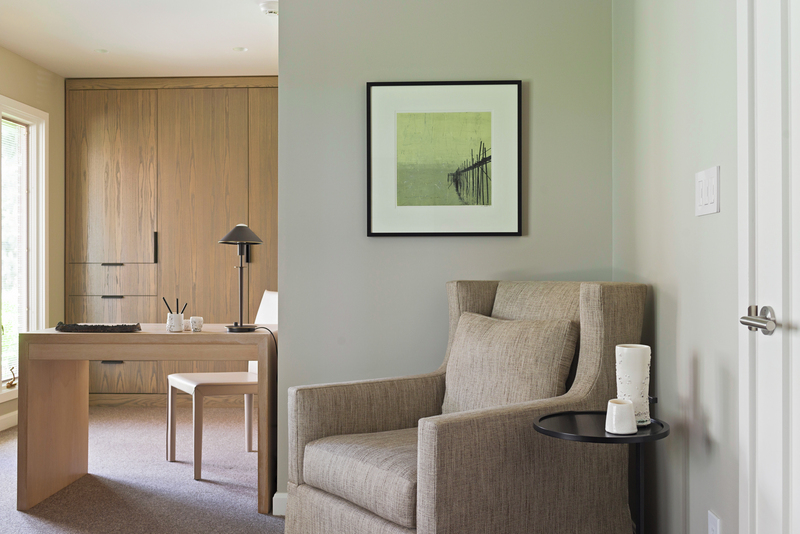 Reconfiguration of the guest suite allowed for better access for elderly family visitors. 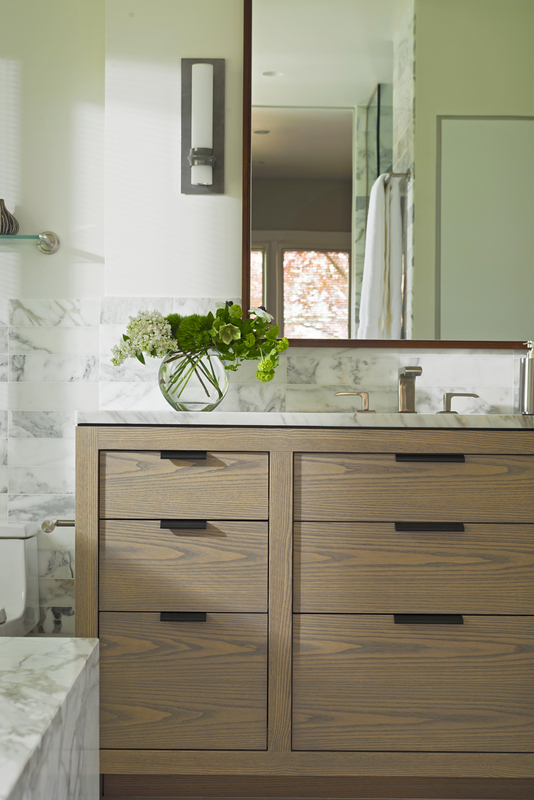 Carrera marble tile and tub surround add dimension opposite gray-stained ash cabinets. 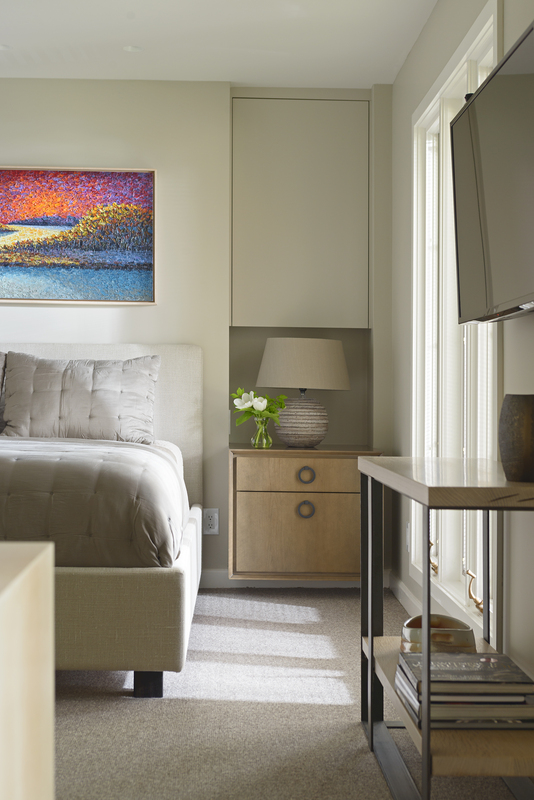 Built-in nightstands, bespoke desk and console, and a custom built upholstered headboard and lounge chair create a soft and inviting environment. 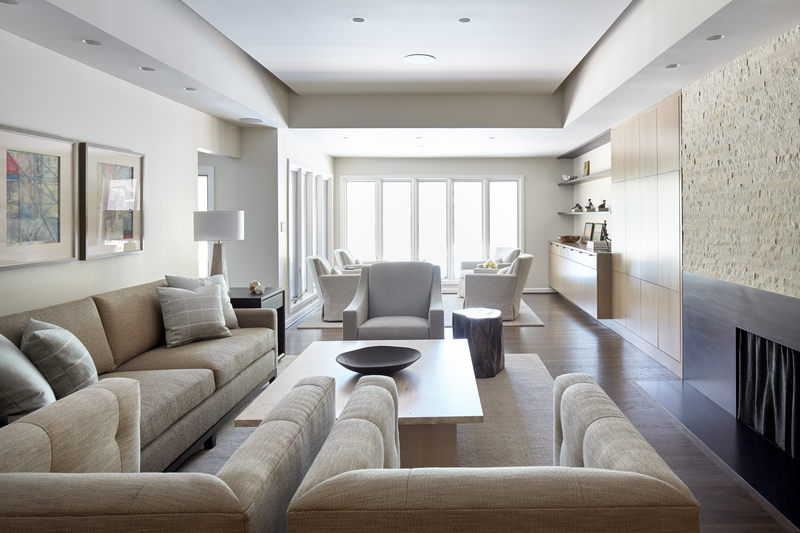 Almost every single detail was custom-designed and detailed, including a walnut dining table, suspended oak buffet, and coffee tables of spalted maple and sandblasted oak.